The official announcement was met with concern from civil society, who criticized the measure as a step backwards for human rights. On August 19th 2016, Argentina’s National Migration Department announced the creation of the country’s first immigration detention center. The announcement came as a surprise to many human rights organizations and migrant community members, given that there had been no previous consultation or participatory decision-making process. 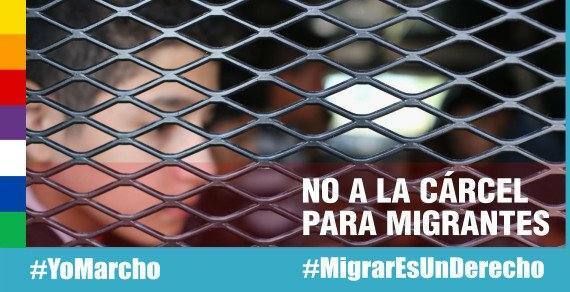 Many are calling the decision an alarming “turning point” in Argentinian migration policy, and in response have created a petition rejecting the establishment of immigration detention centers in the country, which has reached over 2,500 signatures. The official announcement, which was modified twice and has ultimately been removed from the National Migration Department’s webpage, announced an agreement between the Ministry of National Security (Ministerio de Seguridad de la Nación), the Ministry of Justice and Security of the City of Buenos Aires (Ministerio de Justicia y Seguridad de la Ciudad Autónoma de Buenos Aires) and the National Migration Department (Dirección Nacional de Migraciones) to purpose a building specifically to detain people who have “committed immigration infractions.” Authorities have yet to release much detailed information, but what is clear is that the measure represents a step backward for the protection and guarantee of migrants’ rights, which are upheld by the country’s current Migration Law, approved in 2003. Argentina’s Migration Law has been pointed to as an exemplary model by the United Nations, the Organization for American States and other international agencies due to its strong recognition and protection of migrants’ rights. These include the right to migrate and a presumption against detention for administrative purposes (as occurs with irregular migration status). 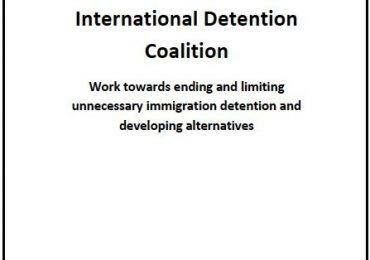 Similarly, the International Detention Coalition (IDC) has highlighted the Argentinian law as a positive practice, including key elements that require judicial review of all detention decisions, and that such decisions can only be considered after a federal judge has issued a removal order (Article 70, Law 25.971). Such measures help to ensure that immigration detention is only used as a last resort, in exceptional cases, as mandated by international and regional standards. 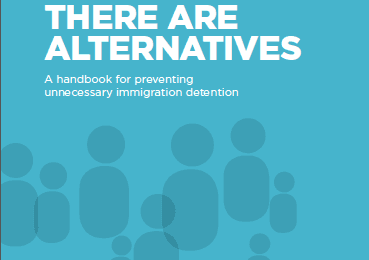 Because immigration detention should only be used as a last resort, we question the need to create a detention center and worry that the measure is disproportional and misguided. We also highlight that any use of detention for migration purposes without a judicial order, in accordance with current legislation, would be illegitimate. It’s been proven that immigration detention does not reduce or deter irregular migration, nor does it address concerns regarding national security. It is highly concerning that Argentina seems to be turning toward misguided discourse that puts control and restriction at the center of migration management, especially when the country’s Migration Law requires the State to promote regularization and ensure that people have access to all the tools needed to regularize their migration situation. Argentina has been a leader in South America and holds significant influence throughout the region. As such, the potential impact of this shift in policy would be harmful to migrants’ rights not only in Argentina, but in other South American countries as well. Argentina is one of the few countries in the world whose State policy recognizes the right to migrate, and we are certain that the country can still be a leader in non-detention and respect for migrants’ rights. IDC members and partners urge the Argentinian government to reconsider their decision to open an immigration detention center.